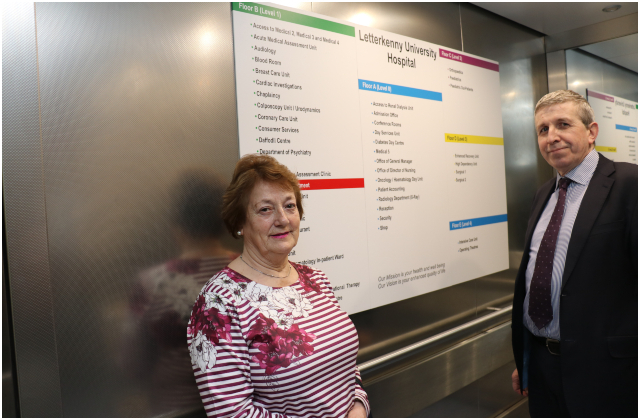 Muriel Perry, Chairperson of the Patient Forum at Letterkenny University Hospital, first joined the forum when it began ten years ago and has been an active participant ever since. Muriel, who is from Magheracorran, Convoy is one of three members of the Patient Forum who have been there since the very beginning. The others are Philomena Roarty from Manorcunningham and Madge Robson from Letterkenny. 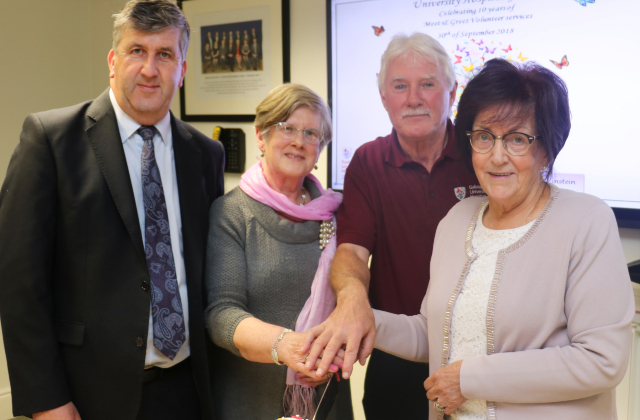 University Hospital Galway recently celebrated the 10th anniversary of its Volunteer Meet and Greet Service. The event was marked by a gathering of volunteers past and present in UHG.